You emptied the soapy suds onto the polished wooden floorboards by accident, knocking the full bucket in one tug of the broom. The planks got soaked, a mess all around, hair on end, screaming. I later apologized. You were furious I held this against you. "We're building a nest, baby", you said. Made me feel small, so small; not a feeling I often get. I don't know if it was your tone or the comforting soapy feel, recalling new beginnings, but I allowed myself to feel optimistic. 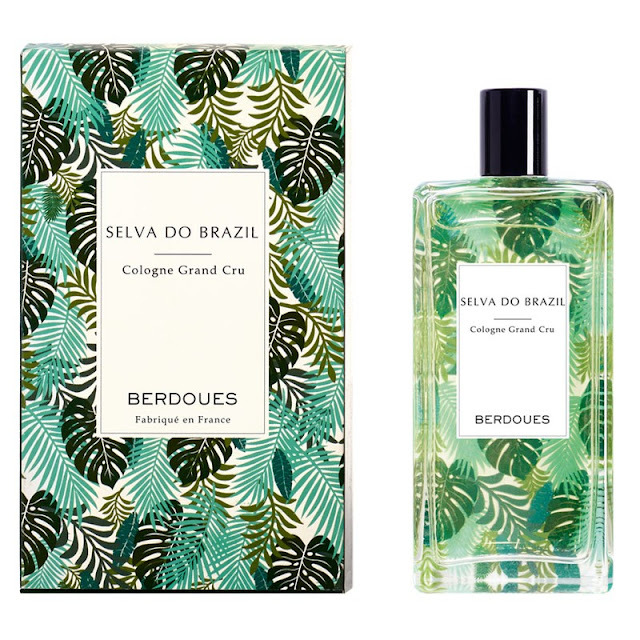 Wearing Selva do Brazil feels small, so small, and comforting in an optimistic way. The soap, the woodiness, the polished woodplanks, the summer air all around, the vetiver cologne in the distance, at the crook of your neck. It just felt like home. And I was sold. Perfectly shareable, leaning slightly masculine, more than Maison Berdoues Scorza di Sicilia, but pleasantly borrowed by women. If you like subtle woody scents, this is for you. Beautiful bottle too, as usual. A note on terminology: Though "cologne" might evoke either short lasting power or a masculine effect I assure you that it's a rather decent eau de toilette duration scent that could be worn by either men or women in warm weather (I suspect it'd get drowned in the cold). The fragrance sounds very promising, but there is one thing that is extremely annoying: the grammar error in the name. It looks to me that they attempted to write the name in Portuguese, but did not bother to check that the name of the country is written with an s rather than a z. The correct spelling would be Selva do BraSil. I refuse to believe that the error was unintentional, but I can't imagine what would be the reason for them to do that. Thanks Jean and S. for your comments. I can't really imagine why they used a faulty spelling with a Z instead of an S. There seems little use of putting the Z for matters of catering to Anglo and Franco audiences that would pronounce the "s" as a different sound than intended in Portuguese. And the copyright infringement of the whole "selva do Brasil" (if such a thing actually exists for sale currently) seems also highly unlikely. Faulty research? Who knows. Might be, though I'd love to have an explanation myself, as well.